Below is a comprehensive list of hotels in Holme Cultram Abbey. Use the sort links to refine your search or to find featured accommodation in Holme Cultram Abbey. Many of our hotels in Holme Cultram Abbey feature no booking fees and best price guarantee when booked through the Pictures of England website. To list your hotel in Holme Cultram Abbey, click here. Set in Langrigg, this holiday home is 24 km from Keswick. It provides free private parking. There is a dining area and a kitchen complete with a dish.. Situated in Waverton in the Cumbria Region, this holiday home is 24 km from Keswick. The property boasts views of the garden and is 46 km from Amblesi..
Offering a seasonal outdoor pool and children's playground, Stanwix Park is set in Silloth in the Cumbria Region. Keswick is 33 km from the property. ..
Meadow Lodge offers pet-friendly accommodation in Langrigg, 23 km from Keswick. It provides free private parking. There is a dining area and a kitche.. Situated in Langrigg, this holiday home is located 23 km from Keswick. The property features views of the city and is 45 km from Ambleside. An oven a.. 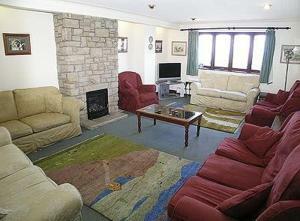 The Maltings is a holiday home located in Beckfoot, 28 km from Keswick. 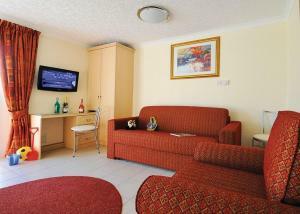 The property boasts views of the city and is 31 km from Carlisle. 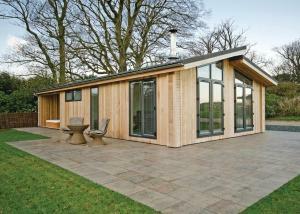 There is a ..
North Lake Lodges is located in Langrigg, 21 km from Keswick. The accommodation boasts a hot tub. Ambleside is 44 km from the property. 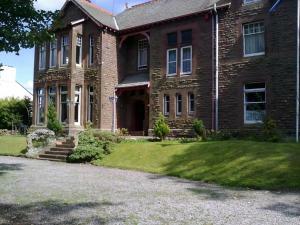 Free WiFi is a..
Holmlea is a holiday home with a garden, located in Silloth in the Cumbria Region. The property is 29 km from Keswick and free private parking is avai.. Located 24 km from Keswick, West House offers pet-friendly accommodation in Langrigg. The unit is 47 km from Ambleside. 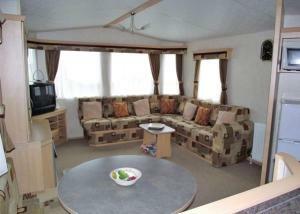 Free WiFi is featured througho..
Rowanbank Caravan Park is situated in Beckfoot, 31 km from Keswick. Carlisle is 31 km from the property. 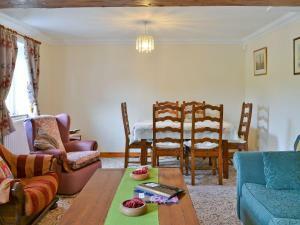 The accommodation is fitted with a seating a..
Set in Beckfoot, this holiday home is 31 km from Keswick. The unit is 32 km from Carlisle. Free WiFi is offered throughout the property. The kitchen ..
Whitehall is a holiday home situated in Mealsgate in the Cumbria Region and is 49 km from Windermere. The unit is 19 km from Keswick. There is a dini..
Edderside Hall offers pet-friendly accommodation in Beckfoot, 28 km from Keswick and 50 km from Ambleside. The unit is 32 km from Carlisle. Free WiFi .. Located in Aspatria, in the North West of Lake District National Park, Brandrawhouse offers bed and breakfast accommodation, free Wi-Fi throughout and.. Situated in Allonby in the Cumbria Region, this holiday home is 28 km from Keswick. The unit is 50 km from Ambleside. The kitchen features an oven an.. Located 28 km from Keswick and 50 km from Ambleside, Sea View Cottage offers accommodation in Allonby. The property is 34 km from Carlisle and free pr.. Located in Allonby in the Cumbria Region, this holiday home is 27 km from Keswick. The unit is 49 km from Ambleside. The kitchen has an oven. There i..
Holly Lodge is a holiday home located in Aspatria, 49 km from Windermere. It provides free private parking. Free WiFi is featured throughout the prope.. Situated in Aspatria in the Cumbria Region, this holiday home is 23 km from Keswick. It provides free private parking. The kitchen has an oven, a toa..